Senators gave final approval Feb. 8 to a bill meant to protect the privacy of Nebraskans whose license plate numbers are recorded by some government-operated cameras. 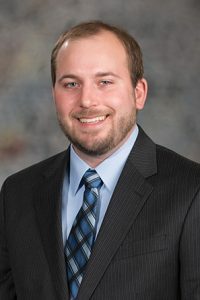 Introduced by Lincoln Sen. Matt Hansen, LB93 restricts how law enforcement agencies and other government entities gather and share data from automatic license-plate readers, which are mobile or fixed cameras used in combination with computer algorithms to turn license plate images into computer-readable data. The bill allows government entities to use automatic license-plate readers only to identify vehicles that are associated with a missing person, registered to someone with an outstanding warrant, relevant to an ongoing criminal investigation or reported as stolen. Parking enforcement agencies may use the systems to identify vehicles with outstanding parking or traffic violations, enforce secured areas, assist weigh stations or collect tolls. As amended on select file, the bill prevents agencies from storing the captured data—including photographs of license plates, GPS coordinates and time and date information—for more than 180 days unless it is used as evidence or if it is subject to a preservation request or the subject of a warrant, subpoena or court order. Governmental entities or criminal defendants may request a court order for the disclosure of captured plate data, which may be granted if they can offer facts showing that there are reasonable grounds to believe the data is relevant to a criminal or civil action. LB93 passed on a 47-0 vote.